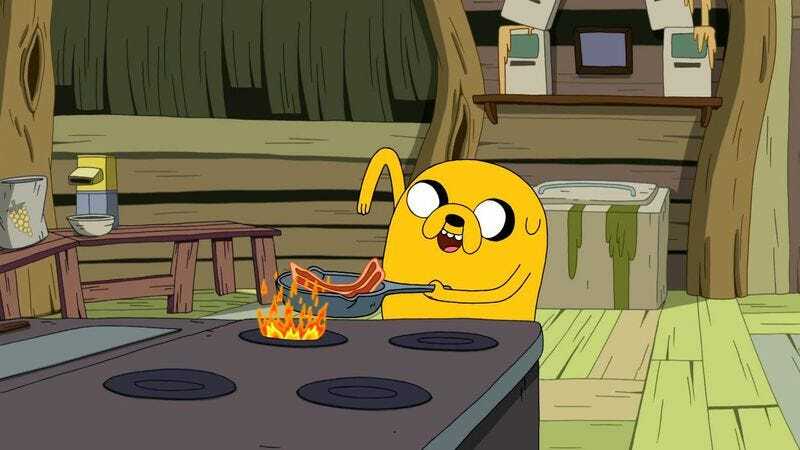 In the new golden age of celebrities lip-syncing, Hugh Jackman has thrown his hat in the ring with a video posted to his Instagram featuring the Tony Award-winning actor lip-syncing “Bacon Pancakes,” a Jake the magic dog original from Adventure Time. Jackman used Dubsmash, the mobile app that allows users to record a selfie video synced with a preselected sound clip, which Julia Louis-Dreyfus’s son used last month to make his mother very proud. Meanwhile, we’re just going to start calling Jackman’s “Bacon Pancakes” performance his Lip Sync Battle audition. Someone let LL Cool J know.